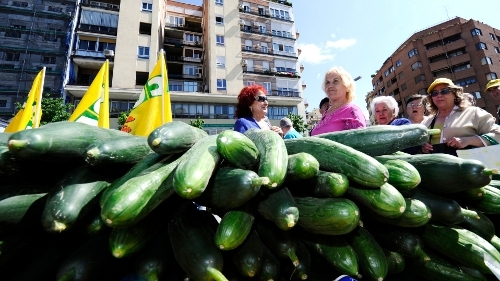 The European Commission has raised its offer of compensation to €210m for vegetable farmers whose incomes have collapsed since the outbreak began. Spain, France and others had criticised a previous offer of €150m. European Union agriculture commissioner Dacian Ciolos told a news briefing in Brussels that the new package would see farmers able to claim at least 50% of reference prices for certain produce. German ministers have defended their response to the outbreak that has killed 24 people and signalled possible changes in the way the country handles health crises in the future. The German government has been criticised at home and around Europe for failing so far to pin down the cause of the outbreak that has stricken more than 2,700 people in 12 countries. All the cases have been traced back to near Hamburg in northern Germany. About one third of E coli patients in the latest outbreak have developed a severe complication called haemolytic uraemic syndrome (HUS) affecting the blood, kidneys and nervous system. 'The E coli and HUS outbreak in Germany is so severe that we have to react very quickly to announce these recommendations and we still can't give the all-clear,' Health Minister Daniel Bahr said, referring to warnings not to eat certain raw vegetables, such as bean sprouts but also cucumbers, tomato and lettuce. 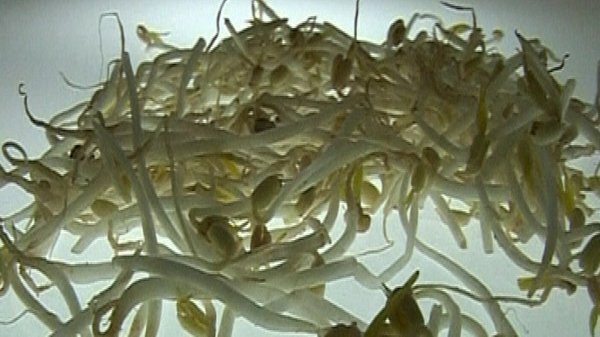 Criticism has focused on Germany hastily blaming imported Spanish cucumbers for the outbreak - which it later withdrew - and the lack of conclusive evidence that German-grown bean sprouts are indeed the source. Excessive bureaucracy at federal and state level has also been blamed for slow crisis response. Mr Bahr said federal and regional health and food safety bodies would undertake an 'immediate evaluation' of how they cooperate in what looks like the deadliest ever outbreak of E coli. The Robert Koch Institute, Germany's disease control body, reported an additional 318 E coli-related cases today and raised the death toll by three. 'There will be new cases and unfortunately we have to expect more deaths, but the number of new infections is dropping significantly,' Mr Bahr said. Speaking at a news conference with EU health chief John Dalli and German health officials, Mr Bahr said that a slowdown in the number of new infections was cause for 'cautious optimism'. But he conceded that the source of the outbreak may never be positively identified, as scientists have warned. European Union and Russian leaders will meet tomorrow for a summit seeking to heal the rift opened by a damaging clash over Moscow's decision to ban EU vegetable imports. Russia, the largest market for EU vegetables, last week imposed a complete ban on imports to prevent the spread of the E coli bacteria. The EU called for Russia to immediately lift the ban, which it said was disproportionate and lacking a firm scientific basis. Russia has regularly placed import bans on produce in moves widely criticised as overly political and Moscow has already hinted this ban could be lifted before the summit in the central Russian city of Nizhny Novgorod. Russia's envoy to the EU, Vladimir Chizhov, said he expected the latest dispute to be 'clarified' ahead of the summit.